The objective of this course is to provide students with the knowledge of general principles and practices of tax law in Nepal and develop in them the basic skills required to solve practical problems regarding Income Tax and VAT and enable for preparing tax returns. The course further aims to provide students with the basic knowledge, concepts, objectives, importance and procedure of auditing, thereby enabling them to handle internal audit of concerned organizations. This course contains two parts: taxation and auditing in taxation students will be familiarized with the topics such as conceptual foundation, taxation of income in Nepal, definition of basic terms under income tax act, Tax accounting and timing, quantification, allocation and characterization of amounts, capital and revenue, classification and status of an assessee (tax payer), heads and sources of income, computation of taxable income and tax liability from employment, computation of taxable income and tax liability from business, computation of taxable income and tax liability form investment, tax administration and official documentations, penal provision, value added tax (VAT). In auditing students will be familiarized with the topics such as conceptual foundation, planning an audit, internal check and control, vouching, verification and valuation, audit report, auditing standard. Meaning and objectives of tax. Classification of taxes and their merits and demerits. Canons of taxation. Accounting based on Cash. Accounting on accrual basis. Bad debts and its recovery. Long term contract. Natural person and entity, Resident and nonresident. Single and couple. Special provision for Natural Person, Entities and Retirement Savings. Income: Contribution to retirement fund .Contribution made to philanthropic purpose (donation/gift). Concepts, Classification: Income from Employment, Income from Business, Income from Investment, Casual gain. Sources of Incomes: Domestic and Foreign. Income included under the head of employment. Non taxable/non chargeable income. Valuation of perquisites. Allowable reduction. Income included under head of investment. Income from the disposal of non-business chargeable assets. Admissible expenses. Tax authorities and their powers, rights and duties. Rights and duties of taxpayers. Documentation. Record keeping and Information collection. Concept of VAT. Origin and evolution of VAT. Principle governing VAT. Types of VAT. Method of computing VAT. Method of collection/realization and refund of VAT. Penalties and Appeal. Difference between VAT and Sales Tax. Meaning, scope, objectives and advantages of audit. Evolution of auditing practices in Nepal. Accounting, auditing and investigation. Types of errors and frauds. Detection and prevention of errors and frauds with practical dealings. Types of auditing, qualities, qualification, appointment and rights and duties of an auditor. Preparation before an audit: instruction to client, distribution of work to audit staff. Audit programme: contents, techniques and preparation of audit programme. Audit note books: objectives, contents. Audit working papers: concept, objectives and advantages. Internal check: concept, objectives, characteristics, advantages and disadvantages. Internal control: concept and characteristics. Internal audit: concept, importance, role of internal auditor, internal audit and statutory audit. Test checking: concept, factors to be considered while test checking, advantages and limitations. Routine checking: concept, advantages and disadvantages. Government of Nepal, Income Tax Act, 2058 with amendment. Government of Nepal, Income Tax Rules, 2059 with amendments. Government of Nepal, Value Added Tax Rules, 2052 with amendments. Government of Nepal, Value Added Tax Rules, 2053 with amendments. Government of Nepal, Finance Act. Dhakal, K.D., Pandey, B. and Bhattarai, R., Fundamentals of Taxation (updated edition), M.K. Publishers and Distributors, Kathmandu. Kandel P.R. and Lamsal, R, Tax Laws and Tax Planning in Nepal (updated edition), Benchmark Education Support Pvt. Ltd., Kathmandu. K.C., J.B., Tax Laws and Tax Planning: Theory and Practice (updated edition), Khanal Books and Stationery, Kathmandu. Sundaram, K.P.M. and Andley, K.K., Public Fianance: Theory and Practice, S.Chand and Co., New Delhi. Ramaswamy, M.S., Auditing, New Delhi: S. Chand and Co.
Dhakal, K.D., Bhattarai, I and Koirala, G.P., The Principles and Practice of Auditing, Asmita Books Publishers and Distributors Pvt. Ltd., Kathmandu. Tandon, B.N., Practical Auditing, New Delhi: S.Chand and Co.
Pandey, D.L., Auditing, Kathamandu: Asia Books Distributors Pvt. Ltd. Government of Nepal, Auditing Act, 2048 with amendments. Government of Nepal, Company Act, 2063 with amendments. Auditing Standards Board of Nepal, Nepal Standard on Auditing. 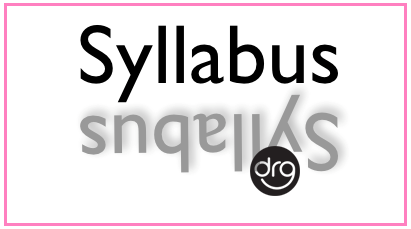 0 Response to "Complete Syllabus of Fundamental Of Taxation and Auditing | MGT 218 | BBS 3rd year (4 Years)"